CKD Galbraith is inviting tenders for the tenancy of a productive stock farm on the beautiful Isle of Islay, famous for its welcoming inhabitants and peaty whisky. Mulindry Farm is a highly productive unit currently run as a mixed unit with barley, beef cattle and sheep. Currently some of the crop is used to meet the ever-increasing demand from the island's distilleries for locally produced barley. 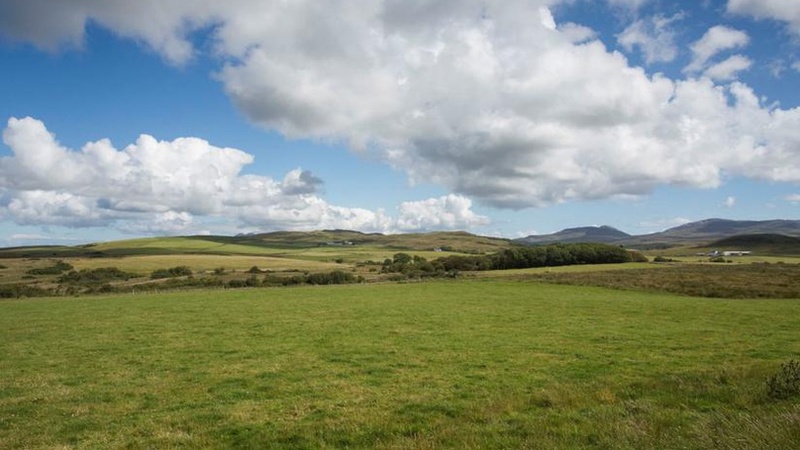 The farmland extends to approximately 280 hectares (692 acres) with around 60 hectares (147 acres) of arable ground, 17 hectares (42 acres) of improved grassland and some 203 hectares (503 acres) of rough grazing which has previously run around 100 cows and 250 ewes. Located just a few miles south east of the village of Bridgend, Mulindry Farm is close to the centre of Islay and is mid-way between the two ports of Port Ellen and Port Askaig. The let includes the traditional farm house comprising of three bedrooms, kitchen, living room, sitting room, office and bathroom. There is also a wide range of both modern and traditional farm buildings including; three large cow sheds situated to the west of the farmhouse which can hold up to 100 cattle, a Dutch barn and a range of traditional storage sheds adjoining the farmhouse. "It's rare that such a farm appears on the lettings market and offers local farmers the chance to extend their holdings and those seeking a new business venture, or new entrants, the ability to do so without having to make the commitment of buying such a unit. Mulindry Farm provides some of the world's most famous Scottish distilleries with their barley, giving new tenants the opportunity to continue with this successful and profitable venture, even to build upon it as the demand for locally sourced ingredients increases. There is an additional residential property, Strathlaggan House, which is located on the farm and will be occupied by the outgoing tenant, however this could be available later down the line by separate negotiation and would provide very comfortable additional accommodation." The Isle of Islay is the southernmost island of the inner Southern Hebrides of Scotland. The Isle of Jura, the Kintyre peninsula and Northern Ireland all neighbour Islay, the so called Queen of the Hebrides'. The small island has much to offer, even for those who aren't fans of single malt; there is a variety of wildlife including seals, basking sharks and a vast number of indigenous and migratory birds; there is delicious local produce to enjoy, particularly shellfish; and the stunning geography provides turquoise bays and sandy beaches to explore as well as some highly fertile soil. Mulindry Farm is available on a fifteen year limited duration tenancy, with a date of entry at 28th November 2015. A viewing day will be held on Tuesday 1st September 2015 and a closing date has been set for Friday 18th September 2015. For further information please contact CKD Galbraith's Stirling office on 01786 434600.